Who’s enjoying summer? Has anyone attended any backyard BBQs, beach lunches, or outdoor family reunions? If you have something that involves food & fashion coming up this is the blog post for you. When attending an outdoor party, you’ll want to feel comfortable & wear cool clothing–think seersucker, linen, light cotton, and other breathable fabrics. While you might want to go light on the layers (it’s always smart to pack a light sweater/cardi for chillier temps in the evening) you can dress up your look with accessories and shoes. In our NIIRVA Shop, we love the idea of stacking textured bangles. 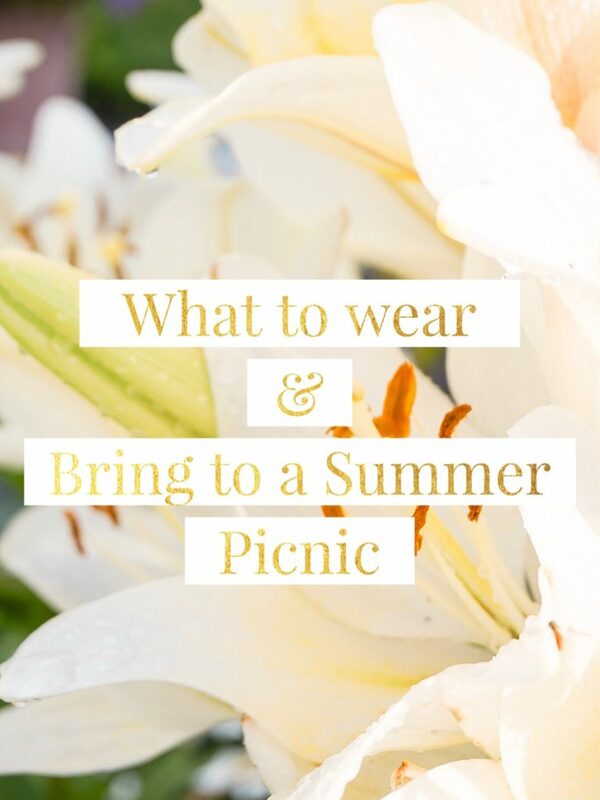 Whether you wear on one wrist or two–a summer outdoor picnic is the perfect time to do so! 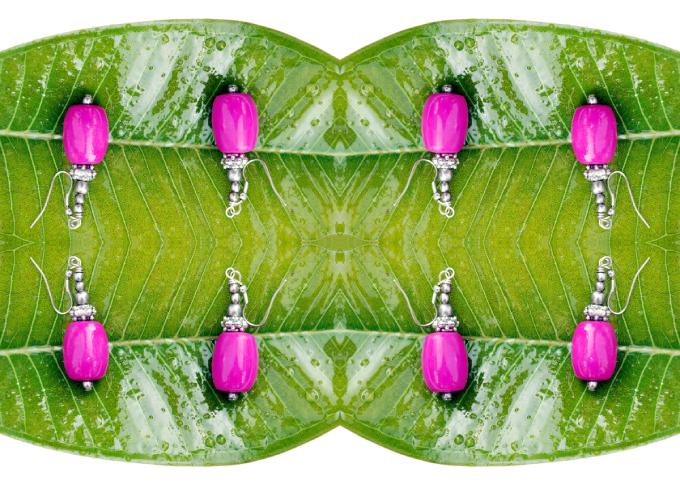 In addition to bangles, earrings are a great way to punch up your #ootd. Subtle statement earrings found in our shop are great pieces to be a little more playful. Okay, let’s talk shoes! Woven flats and slides are so on-trend for summer. You know the straw and woven bags? Well, it’s transitioned into a major shoe movement too. Aside from woven slides, these Zara leather espadrilles/mules are perfect for BBQs! Plus, they’re on major sale! It’s always polite to pack something to take to any picnic you’re invited to. This Martha Stewart recipe for homemade cranberry-oat cereal bar is festive (and won’t spoil) for any outdoor gathering! Okay, how perfect is this watermelon cookie cake hack by food and craft blogger Aww Sam? So easy and fun to take to any party. If you’re hosting your own pool party you’ll want to have a signature cocktail. This coconut and cranberry raspberry daiquiri by Sugar and Cloth screams summer-perfection! Follow us on Instagram & #InspiredStyle! 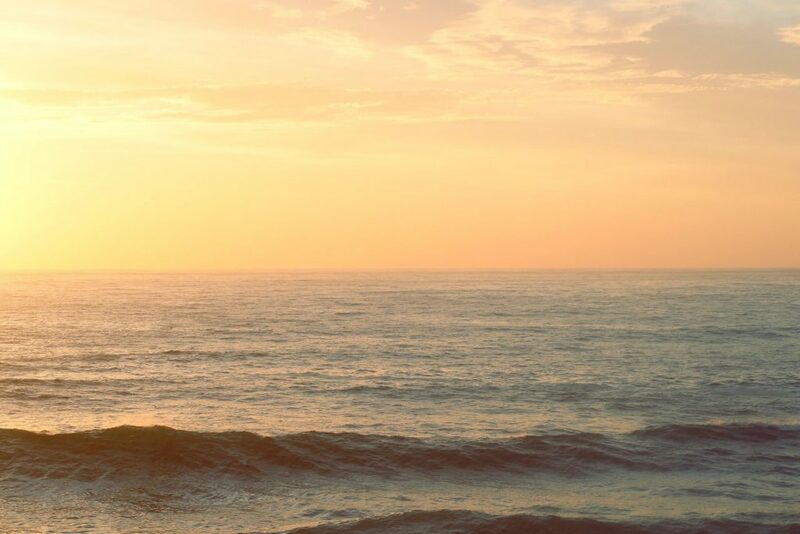 Home Interior Designer, Jonathan Adler once said, “There’s no right answer except to play and experiment.” With summer finally here the same thought process can be applied to our summertime wardrobes. Whether you’re on summer vacay, a fashion blogger, or someone who’s looking for a fun way to add a little of color into their day to day–now’s the time to do so! 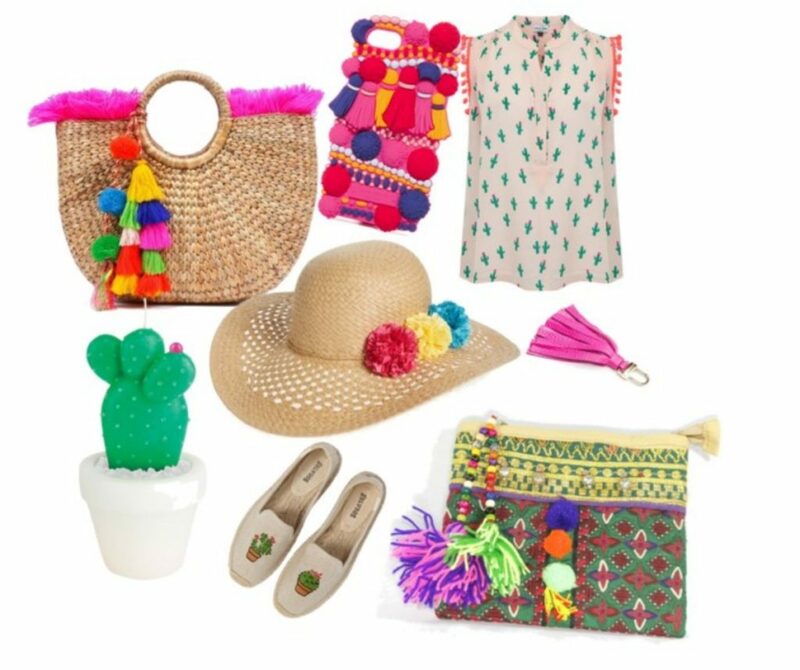 Instead of buying a completely new wardrobe adding a few touches such as pom-poms and tassels is one affordable way to incorporate summer trends into your closet. These Rebecca Minkoff Colorful beaded pom-pom earrings. While there’s an endless retail selection of colorful summertime accessories out there you can also DIY yourself something chic too. Are you handy with the glue gun? If so, we’re loving this tassel earring DIY from Brit + Co. Also, this DIY tassel dress from A Beautiful Mess is no stress! So, what’d you think? Are you ready to take your summer wardrobe to a new colorful level? If so, tweet us and us hashtag #InspiredStyle. Happy spring–officially! With spring’s arrival and the month of April here that can only mean one thing–it’s Coachella time. It’s our favorite season! What is a better time to bring out your boho best than during festival season? Below, you’ll find everything you need to know about this year’s Coachella 2017 festivities as well as inspiration to shop our boho basics. The Line Up: This year’s lineup is huge! Ranging from Alison Swing to Zipper Club. See the full list here. Artists: There’s more than music at Coachella. There will be plenty of art on display from artists ranging from Crown Ether to Balloon Chain. See all the cool artist here. Car Camping: Car camping is totally a thing at Coachella! Basically, for $113 you’ll live like a boho babe for the festival weekend. Food: Aside from peace & love vibes the food and drink vendors at Coachella are amazing–see here for all the yummy details. Safari Tents: Possibly, the coolest form of festival camping–Safari Tents! This rad form of lodging has air conditioning, a concierge, breakfast and late night snacks, as well as games and plenty of good times. Tee Pee: You can also stay in the festival’s Lake Eldorado–in a tee-pee tent! For a sizzling 2k, you and a friend can ‘Coachella’ like a boho queen. 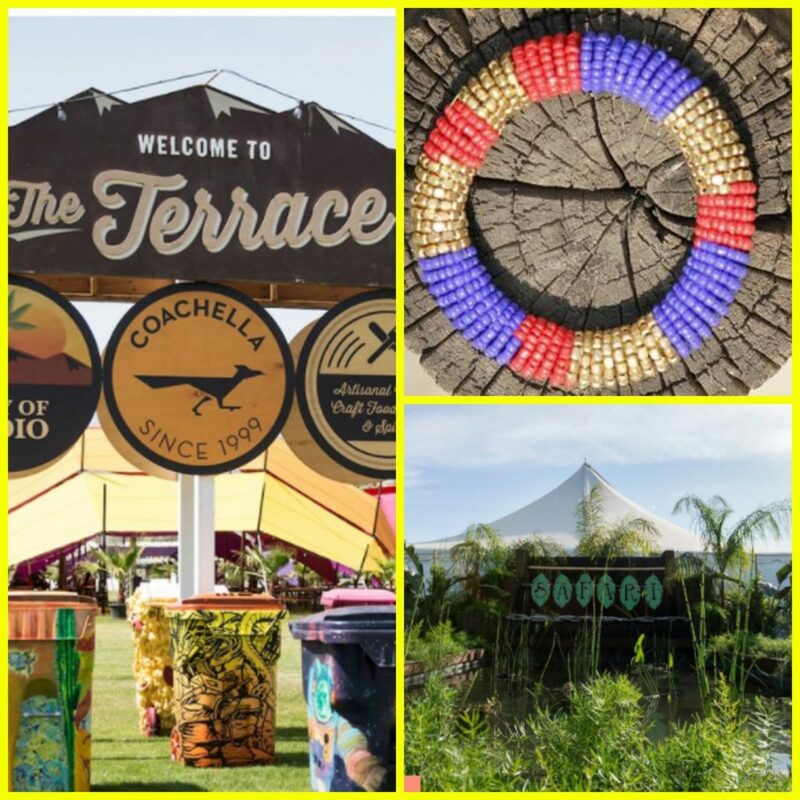 Recycle Rex: Coachella is beaming with sustainability ideas and their ‘recycle bin’ is a huge T-Rex. Oh yeah, his name is, Recyclosaurus Rex. TRASHed Art of Recycling 2017: Artists (that means you too) submit their photos of how they turned plain trash cans into cool artwork. The best of the bunch will be on display at Coachella 2017 for all to marvel. Of course, with the full purpose behind the trash can art being recycling is hip. Signs: Coachella also has a unique thing going on with their signs. This year, they have switched to wood signs. To view, a small gallery read here. The idea is in an effort to be more eco-friendly with the help from sign creators, Prints on Wood–who also plant a tree for every sign that gets ordered. Cool right? So, Coachella sounds pretty amazing right?! If you’re not lucky enough to be attending this year–there is always next. Follow them on the ‘gram @coachella. As for us, we’re dressed for the occasion. 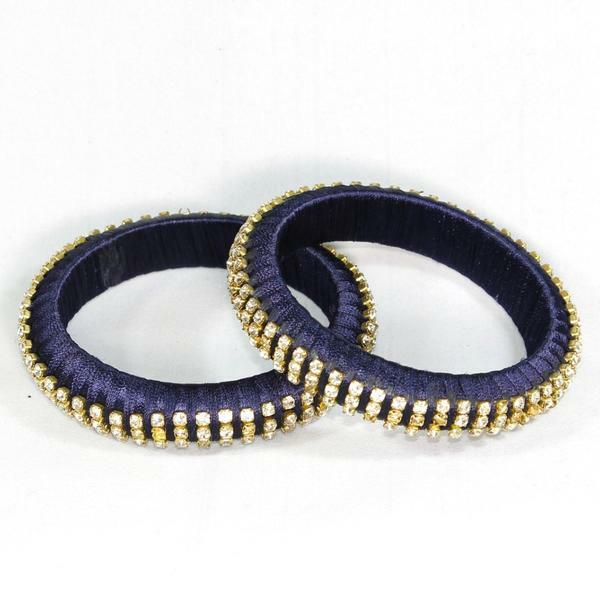 Be sure to check out our shop for pretty bangles and all your boho basics. Can you believe that the old year, 2016 has left us and in its place is a New Year glittering with delight and new possibilities? After all, that’s what the start of a New Year offers each year. Aside from resolutions, fresh starts, and hopeful prospects–the New Year also rushes in a new color crush a la Pantone. The anticipated Pantone color of the year 2017 is Greenery (15-0343). Greenery is the perfect blend of crisp freshness and a much-needed invigoration to begin a New Year. The color green can symbolize harmony, wealthy, rejuvenation, as well as be an overall eye-catching color. Surely fashion houses, interior designers, and bloggers alike will incorporate the new Greenery color into their perfected crafts. We here at NIIRVA have a few fun (unexpected) ways that you too can incorporate Greenery (or just green altogether) into your 2017. Happy New Year! 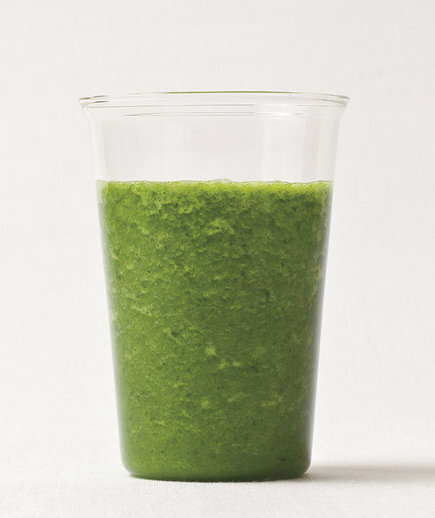 Surely, your post-holiday diet could use a bit of green and lightness. 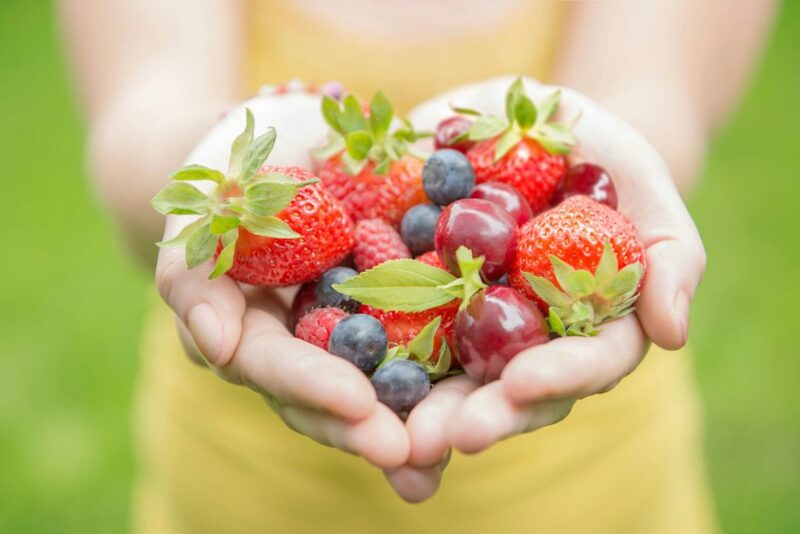 Did you imagine that you can incorporate green into your diet too and not just your design aesthetic? Try blending a fresh kale-apple smoothie–we love this recipe here for a light right start to 2017. Since Pantone comes out with a new hue each year, it doesn’t make sense to re-do your entire home in the New Year color. Instead, adding small pops of this year’s color around your home is more reasonable. Plus, affordable to your New Year wallet! 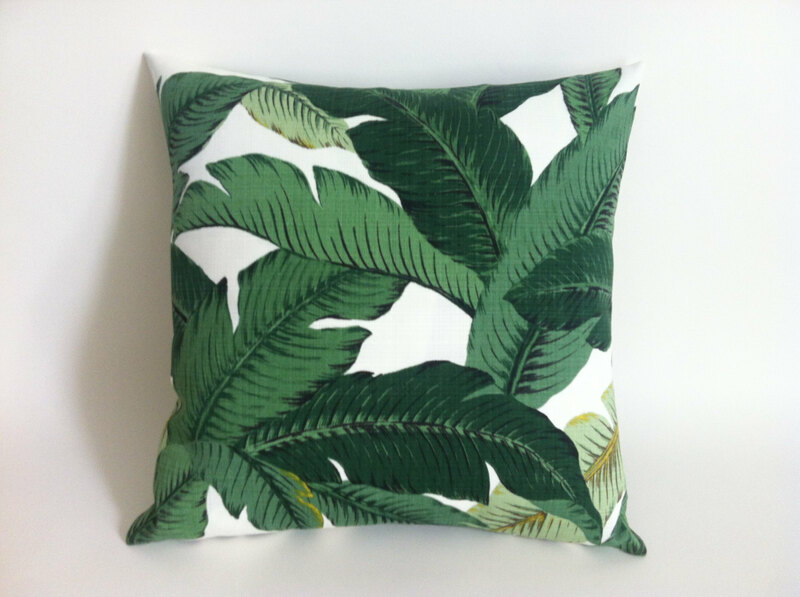 The easiest way to add some Pantone splash around your living quarters is with pillows. We found this banana leaf print pillow from an Etsy shop, Pillomatic. Another easy (and yes, breezy) way to add a bit of green to your daily living is which a quick green manicure. We’re not talking that crazy succulent manicure that was going viral online the last few months, but a pretty green nail color. Add in a bit of glitter for a fun effect to brighten up the dreary winter days ahead. Of course, we have some green too! 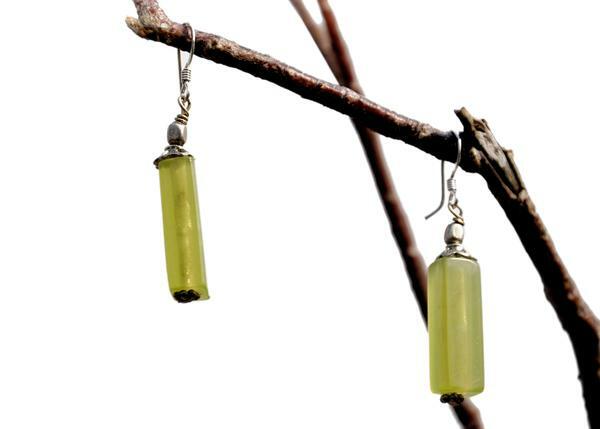 A pretty green earring to punch up your winter black OOTD is a welcomed New Year staple. So, are you into the new Pantone color? 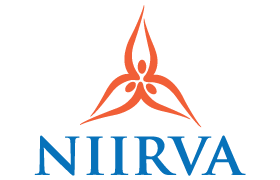 Tweet us @shopniirva or find us on Facebook and let us know! Hello, November! We are right in the midst of the prime-time opportunity to wear all of our fall faves. We are loving every fashionable minute of it. Currently, rich burgundy hues, faux furs, suede textures, and warms wools are amongst the stylish autumn selections. However, being the boho babes that we are, we feel that it is important to put a bohemian twist on fall’s accessories. Below, we have some blogging beauties modeling what’s currently in the NIIRVA Shop. Be sure to swing by and check us out. After all, it won’t be fall forever. Cuff. We have never met a cuff we haven’t liked. The best part about wearing a chic cuff is that you can wear just one or stack them to your elbow. You decide. 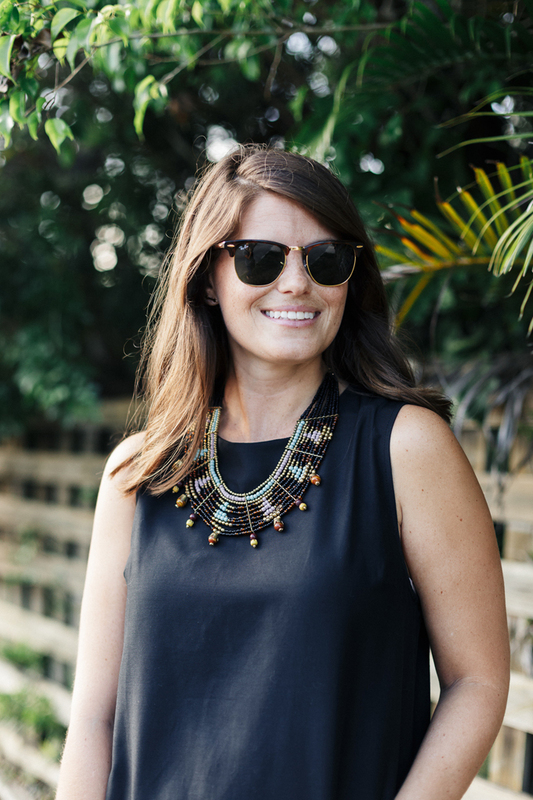 Statement Necklace: BOHO babes know that tribal inspired pieces are en vogue no matter the season. 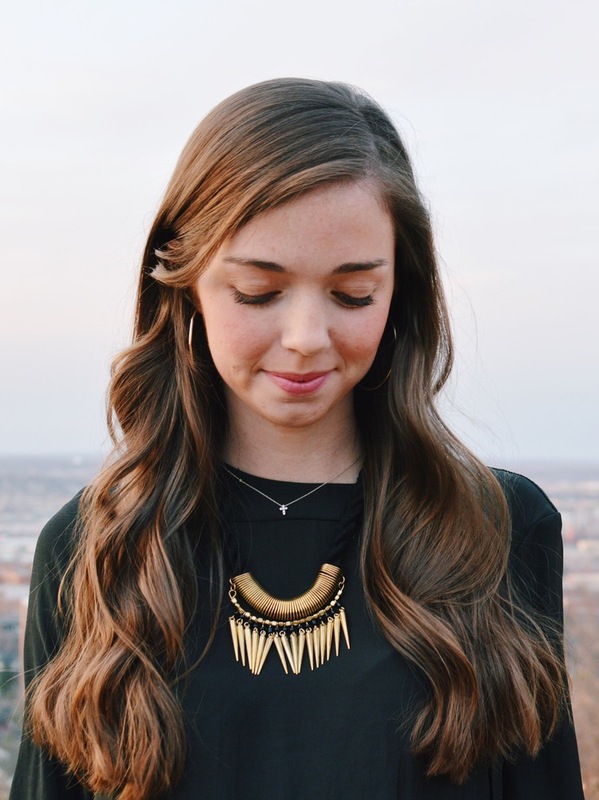 Whether you are wearing a turtleneck or scoop neck, try on one of our many statement necklaces today. Clutch: Holiday party invites are already pouring in and you can’t be seen lugging your work purse to and from each party. Luckily, we have some cute clutches in stock. 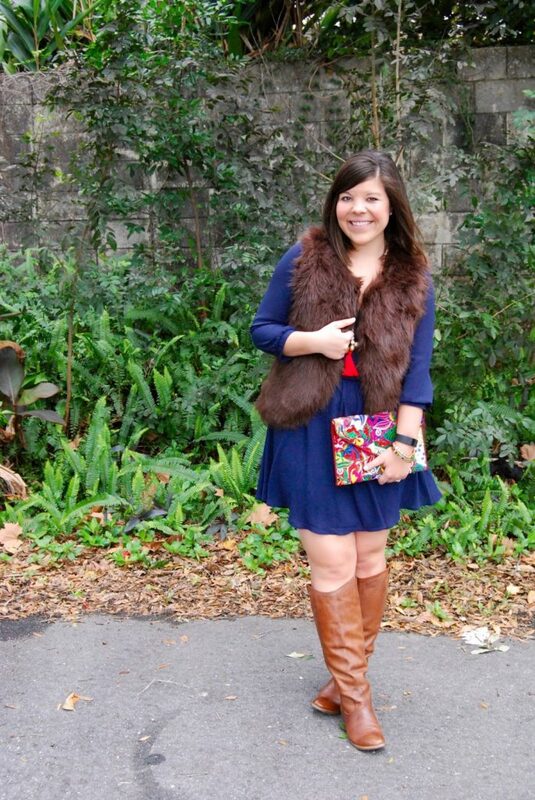 Throw on your faux fur vest and goooo! Party Pieces: If you know how to accessorize wisely, you should always feel as if you have something new to wear. In our shop, you’ll find endless unique accessories that will make your old fashion faves feel like new beautiful besties. Sparkle: Now is the time to start adding some sparkle and shine to your day (and evening) wardrobe. We are loving this long silver dangle necklace from the NIIRVA store. Personally, you don’t have to be a BOHO gal to rock this chain. So, what do you say to adding a few new pieces to punch up your autumn wardrobe? When you do shop NIIRVA be sure to tag us on Instagram @shopniirva and use our #InspiredStyle. Hey there peaceful and beautiful boho chic people! We are happy to post that is it our favorite time of the year–Coachella is almost here! Since you are currently reading our boho chic/Indy vibe Niirva Blog- you must already have an inner flower child dwelling inside you. Luckily, we do too (duh) and Coachella season is the season to let our inner and outer bohemian self shine. Just in case you are not 100% familiar with the music festival called, Coachella or possibly, last year’s Coachella made your memory a little hazy, let’s hit the refresh button for a second. The Coachella Valley Music and Arts Festival is a yearly outdoor gathering/festival held at the Empire Polo Club in Indio California, situated in the Inland Empire’s Coachella Valley in the Colorado Desert. Coachella is one of the year’s most anticipated music events. Anyone can attend, but Coachella is famous for being flocked by stars, models, rock stars, young Hollywood, and reality tv characters like the Kardashians-groovy right? Each year, the festival occurs over two weekends. This year’s dates are from April 15-April 24. You can see a full list of bands/musicians set to play here, but everyone from DJ EZ to Calvin Harris will be in attendance. Guess that means Taylor Swift will be there too. While we love Coachella for the music, the art, the beautiful scenery, and the Hollywood bird watching–we also love Coachella for the fashion. Coachella fashion is called Festival Fashion and being boho chic ourselves we like to think we have a leg-up on the Coachella 2016 style. What should you wear while rocking out in the desert? Think flowers in your hair, vibrant bracelets, cut-off high-waist jean shorts, fringe, crop tops, wide-brim hats, feathers, gold and bronze rings, and large circular sunglasses. Totally, our cup-of-tea. Stackable bracelets: Coachella calls for a lot of bracelets and we have it covered with our array of colorful bangles. We think our Fusion 3 Layer Bracelets are perfect for the desert. H&M: H&M loves Coachella so much that they have a Coachella 2016 line of clothes waiting to be worn. Our favorite (one of the many) is the retailer’s Coachella jersey tank-top which is only $9.99. Best vest: You’ll be needing a good vest–a suede vest. Nasty Gal has THE perfect cropped Coachella suede vest. No bare necks: No bare necks are allowed at Coachella–it’s like an unwritten rule or something. Seriously, our Tribal Necklaces are a festival must-have. Love tanks: Graphic tanks that have hippy/1960 vibes are a festival necessity. Flower power: You’ll need some serious shades to warn off the desert rays. H&M’s daisy flower sunglasses will do the trick. Hat hair: Can’t Coachella without an oversized hat! We love this wide-brim beauty from Target! Romping and rolling: A romper is ideal for a quick festival look and this blue romper screams celebrity acting like a hippy. Dress your lobes: When listening to the Coachella bands, you’ll want your ears to be ready for the occasion. Our Modak Earring is ready for the task. Well, we think this Coachella Festival Fashion List is a pretty good start to calling upon your inner flower child. Remember, the boho look isn’t only a style–it’s a lifestyle. Peace, love, and Coachella. Last week we mentioned all the great new items that just came in, but we failed to mention the great prices we offer at Niirva. Affordable style is just a click away. Featured today are our Cherry Bead Earring. We love the pop of pink and the silver bead accents. Pair them with your favorite simple t-shirt, a printed dress, or one of our fabulous scarves.